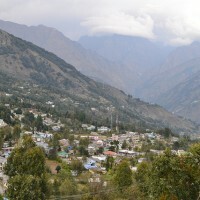 Wanna tour a place which is adventurous and it equally promises some nerve-wrecking trekking treks? If you have your answer as yes, then you should try visiting Munsiyari, which is a small village in Pithoragarh district of Uttarakhand. The nature’s beauty could be seen in the most admiring and captivating form from this small town.